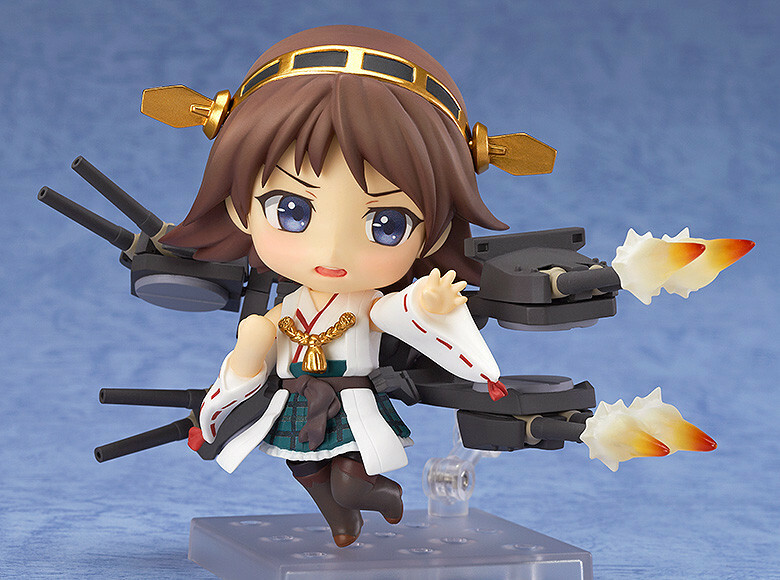 From the popular browser game 'Kantai Collection -KanColle-' comes a Nendoroid of the high-speed battleship, Hiei! 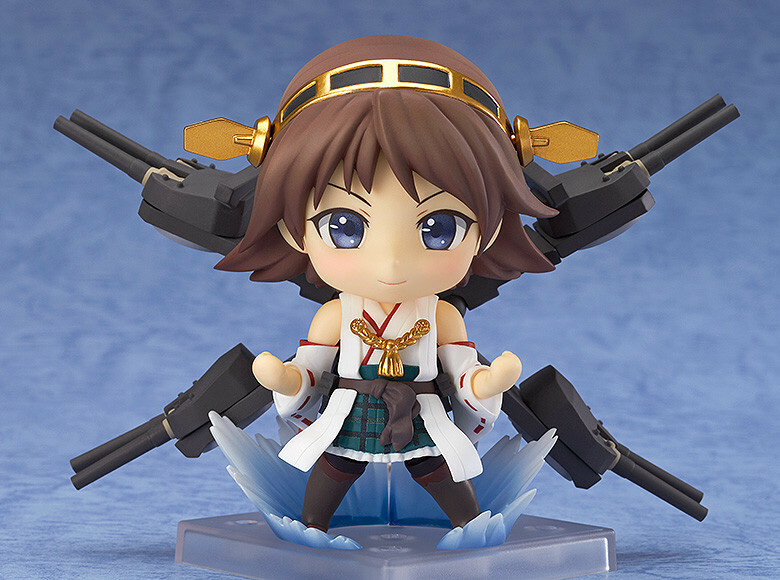 She has joined the Nendoroids hoping to get a little bit closer to the power of her older sister, Kongo! 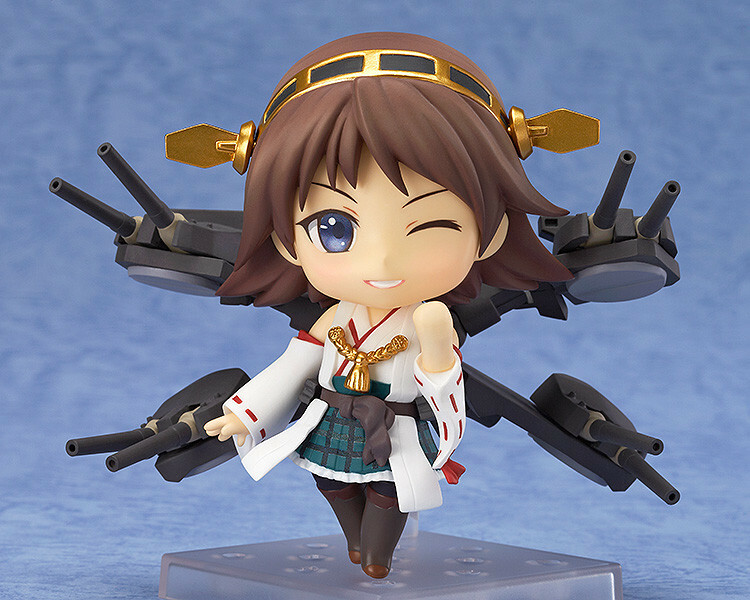 Hiei comes with three different face parts including her standard expression, a winking expression as well as her 'half-damage' expression! Optional parts include attacking effect parts as well as special effect parts to place around her feet which show her determined spirit! 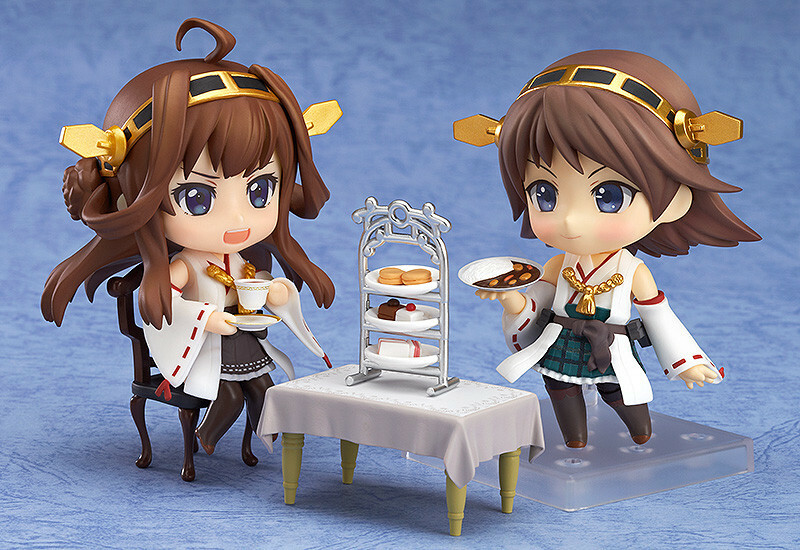 A tea stand and table are also included to serve Kongo at tea time, and her speciality dish 'Hiei Curry' is also included! Preorders will be open from 19th August 2014 (Tues) from 12:00JST until 17th September 2014 (Wed) at 21:00JST. 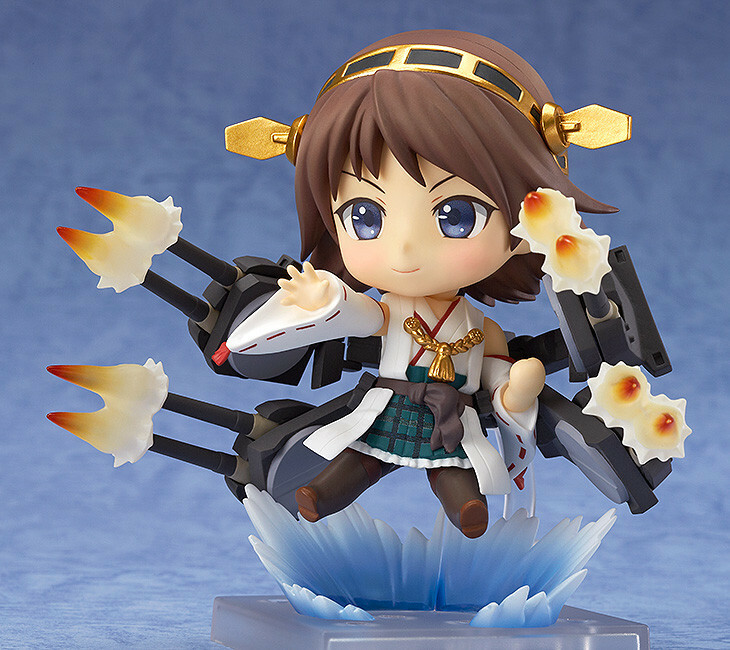 Orders of Nendoroid Hiei from the GOOD SMILE ONLINE SHOP will include a Nendoroid Hiei Box Sleeve and Special Nendoroid Stand as a bonus! *Please note that stock of this product is limited. Order soon to avoid disappointment. * The bonus sleeve will be revealed shortly. Keep your eyes on this page.